My head is almost spinning now that school is back in and life has ramped back up to super-sonic speed. Amongst all the craziness that seems to define all families with school-aged children, I find the calendar pretty solidly booked until Christmas break. Personal time is difficult to find, but as in previous years I have found that one of my biggest sources of joy each week is attending and participating with my boys at their Scout meetings. Gotta love parent participation! Last Wednesday, Daniel’s Scout Troop went for a hike in the dark (Hike of Epicness II) and last night was Andy’s very first Beaver Scout meeting. Of course he was quite nervous to begin with, but I jumped right in there with him and we both participated fully. I hope the leaders didn’t mind, but Andy and I had a fantastic time. Clingy initially, he quickly settled in began interacting well with the other children and the leaders. Yay! He’s already looking forward to next week’s meeting. It was nice to see all the children actively engaged and the leaders looked like they were enjoying themselves. On the way home (as I always do) I reviewed the meeting we were just at. Andy told me he loved decorating his beaver bucket the most and really liked story time. As for Me, I’m looking forward to sewing on some new group and activity crests! Some may see my somewhat over-exuberant behaviour as a little odd for a parent or the group treasurer for that matter. I’m not normally this way. Or, maybe I am and I just repress the fun-loving side of myself an awful lot. Funny, on the way to the meetings I always think “I don’t know if I’m up for this tonight.” But, as soon as I walk through the door, all the angst, pain and personal issues just seem to slip away. Just like magic. Although I’m sure I won’t be quite so actively involved in every meeting, it is such a pleasure to join in. Thanks to the all the leaders and especially the children for providing this opportunity for my family and me to participate. 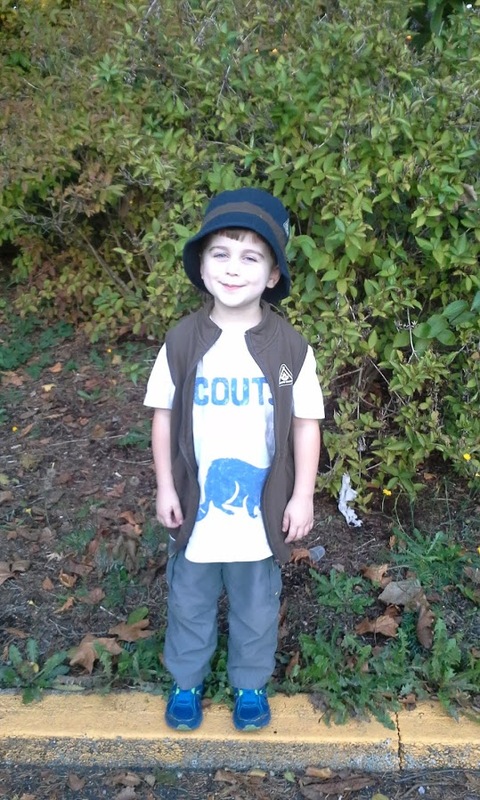 This entry was posted in Scouting and tagged Andy, Beavers. Bookmark the permalink.